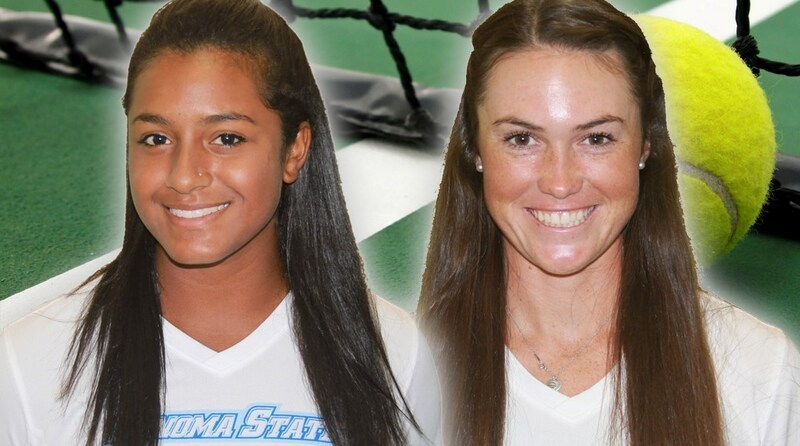 Jensyn Warren and Jordyn Kearney continued their torrid play this fall, blowing away the competition on their way to the doubles title on October 18 at the Dominican Fall Challenge, highlighting another eventful weekend for the Sonoma State women's tennis team. Warren added to her success with an individual title in singles. The Sonoma State men's soccer team took down UC San Diego on Oct. 18 at the Seawolf Soccer Field, 3-0, thanks to goals by Brenton Frame, Sean Callahan and Armando Coronel. The Seawolves have won three straight games, improving to 8-4-2 overall and moving into a tie for sixth place in the CCAA standings with 13 points at 4-3-1. The Tritons dropped to 5-5-5 (4-3-3 CCAA). The Sonoma State men's soccer team rolled to a 3-1 victory over visiting Cal State San Marcos on Oct. 16 at the Seawolf Soccer Field. Raad Aljabi netted the first goal of the game just seven minutes after intermission and Brenton Frame followed with two goals of his own later in the half. The Sonoma State women's volleyball team held off San Francisco State in five sets (25-17, 25-19, 21-25, 20-25, 15-11) on Oct. 17 at The Swamp in San Francisco. Caylie Seitz smashed 18 kills on Saturday night, bringing her career total to a program-best 1,524. The Seawolves have now won 10 straight matches improving to 14-3 overall and 10-1 in the CCAA. The Gators fell to 9-10 (7-5 CCAA). Lexi Reddick and Caylie Seitz tallied 11 kills and Madelyn Densberger recorded 15 digs as the 24th-ranked Sonoma State volleyball team defeated host Cal State East Bay in three sets (25-20, 25-13, 25-11) on Oct. 16 at Pioneer Gym in Hayward. The Sonoma State women's soccer team continues its hot streak with a 1-0 victory over UC San Diego on Oct. 18 at the Seawolf Soccer Field. Sonoma dominated possession for most of the afternoon, outshooting UCSD 19-5 in the match. The Seawolves (10-1-2, 7-0-1 CCAA, 22 points) have extended their lead in the CCAA standings to six points over three teams tied for second place with 16 points -- Chico State, Cal State L.A. and UC San Diego. The Sonoma State women's soccer team beat visiting Cal State San Marcos 4-0 on Oct. 16 at the Seawolf Soccer Field. Alexandra Gonzalez scored just nine minutes into her collegiate debut, with McKenzie Maher scoring twice in a three-and-a-half minute span in the second half. Sara Van Wagoner also scored at the 18:40 mark for her first goal of the season. The Sonoma State men's golf team captured the team title at its own Sonoma State Invitational hosted this week at Foxtail Golf Club in Rohnert Park. The Seawolves (872; +8) held off second-place Dominican (876; +12) by four shots. Sonoma State will wrap up its fall portion of its 2015-16 schedule at the CSUMB Otter Invitational at Bayonet Golf Course in Seaside. Breanne Brett was the top team finisher for the first time in her career, placing 87th out of 164 with a time of 24:51 to lead the Sonoma State women's cross country team to a 14th place finish on Oct. 17 at the Bronco 6K Open Invitational in Sunnyvale.